With the gridlock in Washington DC, many Americans are wondering how our country will ever get back on track. While their frustration with the federal government is warranted, they need to look no further than their own cities to find the answer. The U.S. economy is far from fixed, but recent forecasts indicate a recovery is under way. A new report released last week by the US Conference of Mayors shows that growth in cities will propel nation to levels of economic activity not seen since the early 2000s. Next year, all metros are projected to grow, with half of them growing by more than 3 percent. Given that metro areas account for 86 percent of all jobs, 90 percent of GDP, and 94 percent of growth in this nation, these increases are having a real impact on our country. 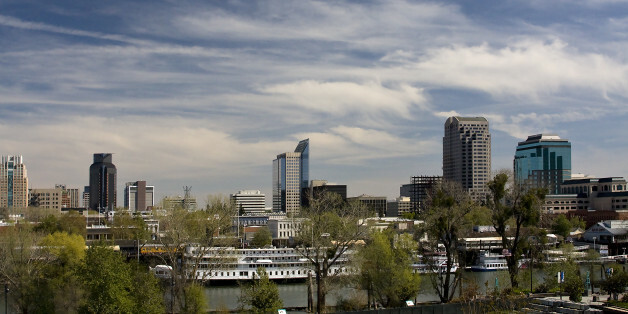 Cities are now driving the revitalization of the nation's economy. We're doing this by embracing the new era of American cities, a concept I call "Cities 3.0". The first generation of metropolitan areas, Cities 1.0, were built around ports, rivers and transportation routes. They served as centers of trade. The second generation of cities, or Cities 2.0, came much later during the Industrial Revolution. These cities had factories and big industry, smoke stacks and automobiles, with electricity, transportation, and other modern services. They were the destination point for immigrants from around the world pursuing the American Dream. But the world is changing at warp speed and cities have to evolve to stay ahead of the curve. Which brings us to Cities 3.0, where the city is a hub of innovation, entrepreneurship and technology. It's paperless, wireless and cashless. In 3.0 cities, we have more cell phones than landlines, more tablets than desktops, more smart devices than toothbrushes. To keep pace with these changes 3.0 cities must embrace three critical components. First, 3.0 mayors must practice "open source leadership." This means we look for the best solutions regardless of where they come from. We don't care if it originated with Democrats or Republicans, because we don't get caught up in partisan politics. We believe the private sector can help solve public problems. And we know that unlikely bedfellows can often collaborate to produce the best solutions. Being an open-source leader means we're proactive, pragmatic and problem-solving. We don't care about ideology or tradition, only about what's going to work best for our constituents. The second defining feature of a 3.0 city is that it must be the "ultimate service provider." In this generation, the world's largest music company has no record stores (Apple). The world's largest bookseller has no bookstores (Amazon). Two of the world's largest taxi company have no cars (Uber and Lyft). It's only a matter of time before the world's largest hotel will have no hotel rooms (AirBnB). And very soon, the world's largest university will have no campus. That means we need to provide city services on new platforms, too. So instead of city crews driving around looking for potholes to fill, in a 3.0 city, citizens take pictures of potholes with their smartphone, and upload it through a city app that will tag it with its GPS location. Providers throughout the city can instantaneously be dispatched to fill the pothole on the same day. It is quicker, easier and more efficient. And active, connected citizens become part of the city's network to solve problems. In addition to services, the other thing a city provides is infrastructure. In Cities 2.0 that infrastructure was things like roads, bridges, and schools. But 3.0 Cities must provide a NEW kind of infrastructure: like citywide Wi-Fi networks, broadband and fiber optics. We must have turnkey operations for start-up companies, from office space to high-speed communication lines. The bottom line is cities must provide services and infrastructure that residents and businesses need and do it quicker, faster and cheaper. And last, 3.0 cities are focused on building "Next" economies. We know that in order to keep up in the modern era, we have to be innovative. If cities are going to drive the revitalization of this nation, then we need to become laboratories and incubators of change. But how do we do that? We accomplish this by adopting an aggressive, pro-growth agenda that includes investments in the modernization of infrastructure (transportation and water), creating "sustainable" cities, addressing income inequality, focusing on creating global trade, and training a skilled workforce for the future through a high quality public education system. As president of the U.S. Conference of Mayors, I recently spent a week in Dallas with over 250 mayors from across the country -- men and women of all races, both Republican and Democrat, gay and straight. Despite our demographic differences, we spent four productive days focused on what we can do to ensure our cities continue to climb out of the economic slump and build strong economies for the future. We heard how Mayor Whaley of Dayton, Ohio rebuilt the manufacturing base in her city by developing an advanced manufacturing center at a leading community college to train employees and provide state of the art technology, which led to a $200 million investment in transitioning a closed-down GM plant and bringing 800 manufacturing jobs back to the Dayton metro area. We learned that in Gresham, Oregon, the city will produce 100 percent of its electricity needs from onsite renewable power by this year's end. And Mayor Carolyn Goodman, from Las Vegas, shared that in her city of bright lights they've converted over 80 percent of the city's 50,000 streetlights to LEDs. Cities 3.0 mayors are not sitting on our hands, waiting for the feds or someone else to solve our problems. We're embracing good ideas no matter where they come from, innovating to provide better services and building strong economies for the global marketplace. In doing so, we're charting a path for the resurgence of our great nation and showing Washington how things can get done.